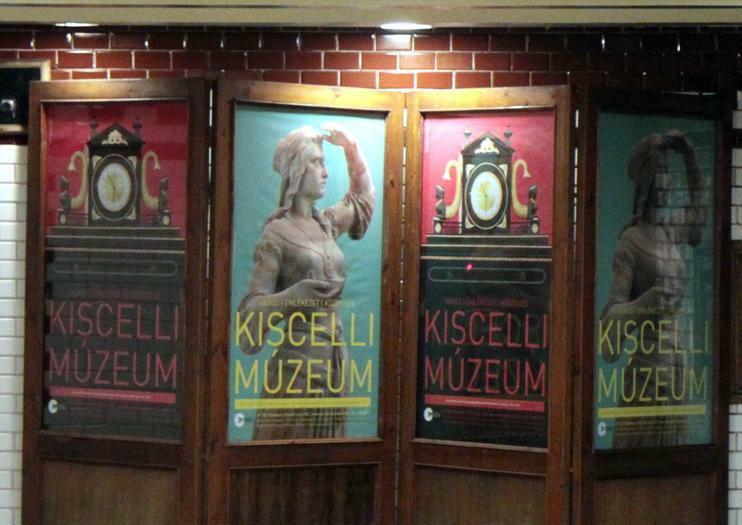 The Kiscelli Museum presents an eclectic array of exhibitions from Budapest’s history, dating back to the early 1700s. The Baroque Sculpture Hall features sculptures from the Holy Trinity group erected outside the Matthias Church in Buda Castle in 1712. Another exhibition focuses on the press and newspapers in Budapest, with a substantial collection of printing machines, equipment and tools. It includes a printing machine known to have played a role in the Revolution of 1848, as well as the type collection of the old University Press dating back to the 18th century, book-binder’s presses from the 19th and early 20th centuries and nearly 200 printing places from the 17th to the mid-20th centuries. The Public Places and Private Spaces, 1780-1940 exhibition presents a combination of art and everyday objects from three different periods: the period of unification of Pest, Buda and Obuda (1873-1896), the period from the millennium to 1918 and the period from 1918 to 1940. The Antiquity of the Capital exhibition invokes the old Municipal Museum, presenting displays of chests, paintings, clocks, cutlery, jugs and architectural plans as thy were set up at the turn of the century. Two final exhibitions showcase an 18th-century pharmacy and old trade signs, mostly from the 19th century. The museum is open April through October from 10 a.m. to 6 p.m. and from November to March from 10 a.m. to 4 p.m. It is closed on Mondays. Admission for adults costs 1000 HUF. From Batthiany Square in Budapest, catch the 160, 260 or 260A bus to the Margit Korhaz stop and then walk about ten minutes to the museum along Becsi Street to Kiscelli Street. Alternatively, take bus 165 from Kolosy Square to the Remetehegyi ut stop and then walk about five minutes down Kolostor Street to the museum. Hours: April - October: 10 a.m. to 6 p.m. November - March: 10 a.m. to 4 p.m.